Your nose is running, your eyes are streaming and you feel like you’re covered in tiny specks of irritating dust because you just can’t stop sneezing. Welcome to hayfever season! It typically starts in the springtime and, depending on whether you suffer from grass, hay, or tree pollen, can last all the way into late summer and beyond. Here's what you need to know about dealing with this annoyance. While we know that hayfever is an allergic reaction to pollen, scientists are less confident about why some people are affected and not others. However, you can develop the condition at any time in your life so those who mock you for ‘always sneezing’ may find themselves in the same boat one day! Depending on how mild, or severe your hayfever is you’ll want to try and avoid pollen as much as you can. Try to avoid walking through parks, gardens and tree-lined streets first thing in the morning and evening. Always check the weather forecast for the pollen count so you aren’t surprised and splash cold water on your face throughout the day to relieve sore, itchy eyes. It may also be worth applying a small amount of vaseline to the inside of each nostril so the jelly can act as a barrier against spores. Surprisingly, you can relieve many hayfever symptoms by just making a few simple changes to your diet and more raw foods. 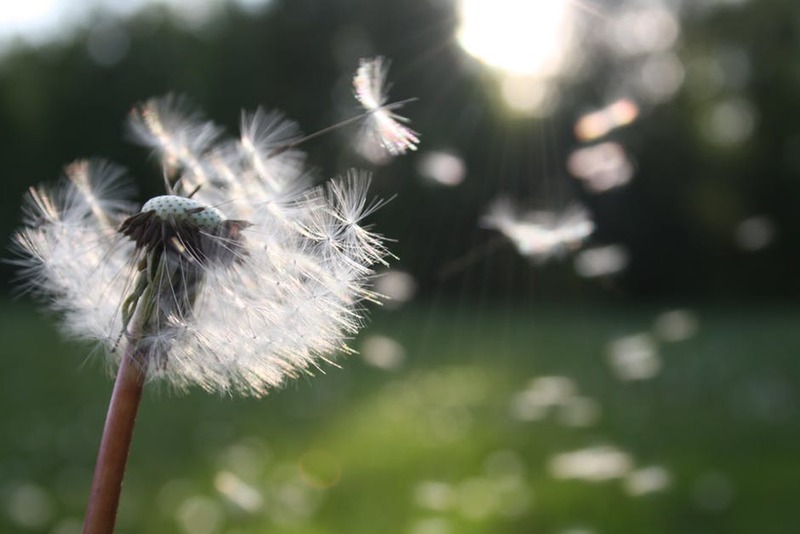 Make sure that you’re getting the vitamins and minerals needed to combat hayfever directly from the source of food itself, as it’s easier for your body to process something that occurs naturally rather than from a packet of hayfever tablets. Try to include as much raw garlic, and onion in your diet as possible as they both help to clear your sinuses and improve your breathing. Eat dark green foods that have been proven to fight nasty toxins such as sprouts, seeds, and green pepper as well as seaweed because it’s incredibly high in minerals and should boost your immune system at the same time. Don’t forget to up your beta carotene intake too; you’ll find this in red and orange veggies like carrots, tomatoes, and red peppers. If your eyes are particularly itchy or feel dry, it may be worth placing two slices of cucumber, cold tea bags or cold teaspoons over them to try and ease the problem. Cucumber is ideal because it’s 95% water and will help to moisturise the skin and eyes. An extra benefit of this treatment is that if you’ve got bags under your eyes, the treatment will help to reduce shadows that have been brought on by stress and lack of sleep. You can also try an aloe vera eye gel that’s designed to aid discomfort and lessen the prickly feeling in your sinuses. Another remedy is to start eating plenty of honey before the season gets going as it should help to desensitise you to pollen. It may help to carry around a handkerchief perfumed with an essential oil like lavender, chamomile, or eucalyptus and sniff it as and when you feel an attack coming on!